What a great result – 54 out of 57 seats and returning all of our sitting councillors who were re-standing, with the fantastic addition of new blood – and in new seats! In Maidenhead we distributed our “A3” literature everywhere, featuring photographs and action shots of councillors working in their wards, and with candidates where appropriate. We also had professional calling cards, supporting “A4” literature in target wards, and plenty of polling day material. Belmont, Boyn Hill and Furze Platt are all safely Conservative after being battleground seats for many years. Many hours of campaigning delivered us success there. In Bray, Cookham, Hurley, Cox Green, Riverside and Oldfield we consolidated our majorities – and saw no sustained opposition (but a bit of Cookham Parish action). Which leaves Pinkneys Green. 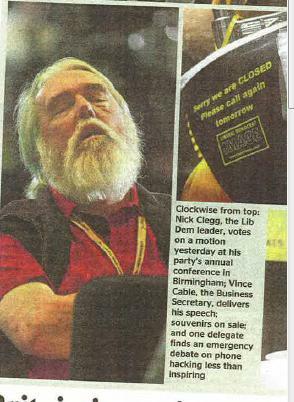 We saw early on that the LibDems had circled their wagons around their existing ward seats – importing Clive Baskerville to stand, despite his track record in Belmont. The campaign was hard fought and we continued to get our voters out until way past 9pm in the evening. However, sitting councillor Simon Werner topped the poll a few ahead of Charles Hollingsworth, who won last time, and fellow Conservative Marius Gilmore who had also walked the streets near continuously during the campaign was rewarded with third place. A tie for fourth place but neither Bond, Baskerville or Shez Courtenay-Smith were elected. A great pity for Shez who had worked so hard and dedicatedly throughout since being selected to stand. 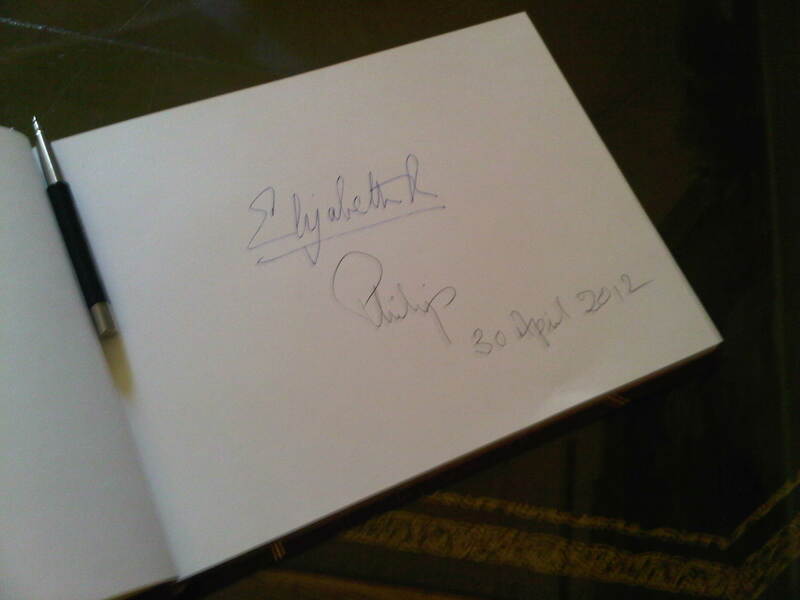 I hope we will be able to work together in the future. In Windsor, such a challenge! 13 wards, all different, independent challenges of all sorts, and a mix of defectors, new candidates, folks standing down and changes were afoot! Both Eton seats were highly contested. Windsor resident (and former Deputy Leader of East Herts District) Malcolm Alexander just pipped Miss Fussey at the post by 43 in Eton and Castle; George Fussey had previously won by just 22 on a lower turnout, so on a straight fight, it was a tight finish. In Eton Wick our enthusiastic Samantha Rayner worked so hard to spread the word and was returned with just over 50% of the vote. Datchet, Sunningdale, Ascot and Cheapside were all safe seats consolidated. Sunninghill had had an interesting contest – but returned a fully blue team. Horton and Wraysbury saw a very solid victory for our sitting Lenton and Rayner team. In their heartland of Clewer North, a total of 5 independents stood and showed that when the Conservatives fight hard, and together, anything is possible. Our 2014 by-election candidate John Collins, with Nicola Pryer and Hashim Bhatti worked tirelessly to deliver a far better result than we could have hoped for and will be able to represent the interests of the local residents extremely effectively. Park saw 10 candidates vie for 2 seats – and with 57% of the vote Conservative, it was hard for anyone else to make an impact. Our Castle Without team was all new and returned a clean sweep with almost 58% of the vote – here, the opposition was limited but vocal but didn’t try anywhere near as hard as our team. In Clewer East new candidate John Bowden topped the poll, joining Dee Quick and again, over half the vote saw the opposition votes split. Clewer South was a late declaration and our local team of Mike Airey and Ed Wilson triumphed. Old Windsor, however, proved a bridge too far. Watch out Malcolm and Lynne, we’re coming to get you! Another campaign over, but now the work begins on delivering our 2015 manifesto, and keeping all our pledges – and continuing to run the Royal Borough in the interests of residents, who do, after all, pay for the local public services. 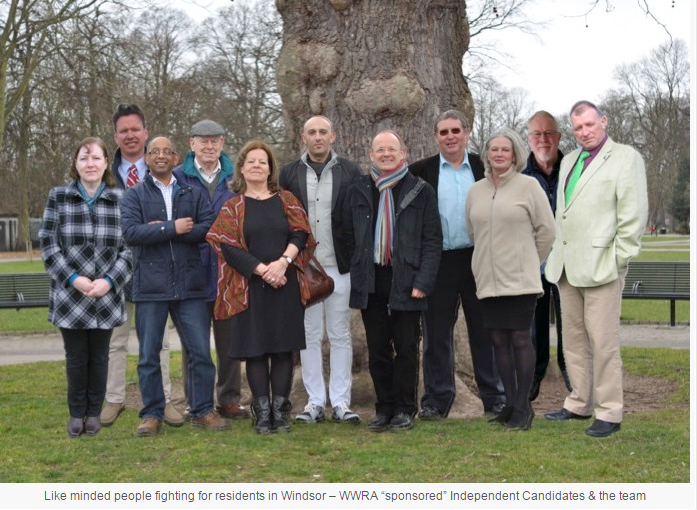 A number of people – including the press – have remarked about the strangeness of the “team photo” being banded about by the self styled independents – all affiliated or endorsed by the public-office-holding-folks from WWRA. So somebody – maybe WWRA will be transparent and honest about this – added Jon Davey (according to his pal Franco de Luca – “not his best side”!) to the photograph, making it appear that he was there, when in fact he wasn’t. 1) Who actually was there? 2) When was it taken? 3) Has anyone else has been “added in”? Or even airbrushed out ?! Wouldn’t it have been more straightforward to use the original photo? Which appears to contradict what Jon Davey has said, because he said he wasn’t actually formally introduced to WWRA until after the photo was taken rather than “not being available”. Is Wisdom telling us everything ? But the bigger question now is can voters believe anything published by WWRA if, as appears to be the case, they are content to be putting out photos which they themselves admit aren’t real original photos. Catch yourself on, WWRA ! PS Going back in time, photo editing – for political presentational purposes – has a very bad history, and is not something we would choose to do when seeking public office. 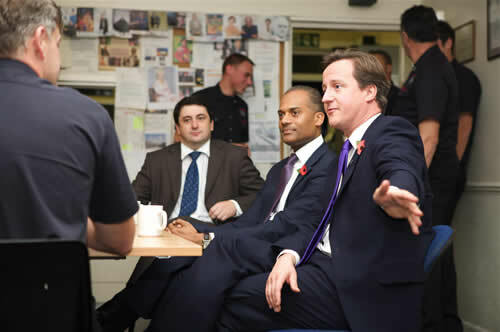 In 2009 David Cameron visited Windsor Fire Station, to join our campaign to keep the 24/7 service for Windsor. In 2015, the new fire station at Tinkers Lane opened – and it wasn’t an easy ride! But we did what we said we would do. We promised 104 items, delivered 104 items; sometimes overdelivered, sometimes in a slightly different way than was envisaged at the time of writing, but outcomes always being achieved. Doing what we said we would do. For the fifth year running, the Royal Borough of Windsor & Maidenhead Conservatives are proposing to cut council tax for residents, this year by a further 2%. The latest cut means that the average household will be over £1000 better off than if the Liberal Democrats still controlled the council. The average Band D rate for unitary authorities in England last year was £1486 making RBWM residents over a third better off than residents living in other unitary councils across the country. This fifth consecutive cut will bring council tax back to the level it was 10 years ago and place RBWM as the lead authority for the most years of consecutive council tax cuts. Following this week’s budget announcement that RBWM Conservatives have proposed to cut council tax for a fifth consecutive year, Prime Minister David Cameron was quick to congratulate the Conservative run council on twitter. In addition to David Cameron’s comments, Windsor MP Adam Afriyie also applauded the Conservative Group’s efforts to produce yet another budget that enables a further cut to council tax without any reduction in front line services. Very honoured to be awarded an MBE in the 2014 New Year’s Honours – for services to Local Government! Nice to see Paul Carter in Kent and Paul Swaddle in Wokingham also getting gongs, and Emma Pidding too. Our former Chief Exec was horrified to learn that he’d made the front page of Private Eye – pictured in the background to a Prince Philip and Prince Charles exchange when Philip became 90. Now I’m appearing on Guido (Second row, second pic). 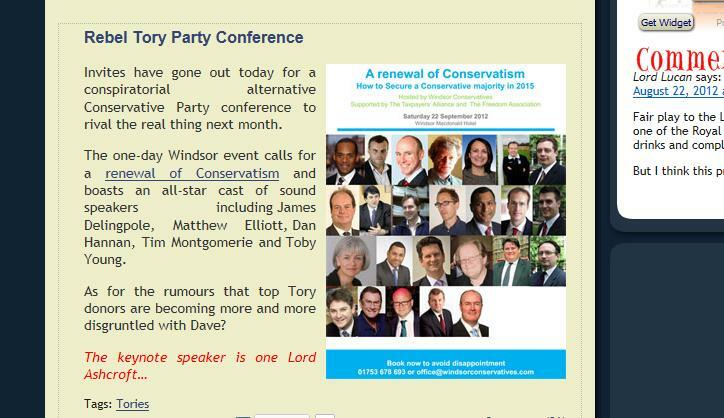 No conference with Ashcroft, Afriyie and Montgomerie is going to be that rebellious, but it should be a good day’s outing. A whole new conference fringe… !? At the meeting of the Berkshire Fire Authority last night, the Integrated Risk Management Plan (IRMP) was approved. It contained a good deal of standard stuff around the fire service, but the important thing for the Borough is the service provision in Windsor. We now have a full sized pump on the run, 24/7, and it will be crewed pretty much all of the time by at least 4 crew. This is some way forward from the position 5 years ago when the Fire Authority wanted to close Windsor altogether. In Maidenhead today at 1.41am our local fire service was called into action at sheltered accomodation in Brill House, Cox Green – which had a night time fire. Fortunately, automatic equipment alerted the problem before it spread too far and residents were evacuated without injury. The property is a bit damaged, I understand.
. . . but not for any good reason ! Pictured is Richard Fagence of this Borough, last seen in combat locally losing an election in Clewer South, after he had recently lost an by-election in Park and previously, lost the “safest” LibDem ward he won back in 2003, to my Conservative colleagues in Clewer South in 2007. All the conference excitement must be too much, and he features in an even more impressive spread on page 10 of the Daily Telegraph today! 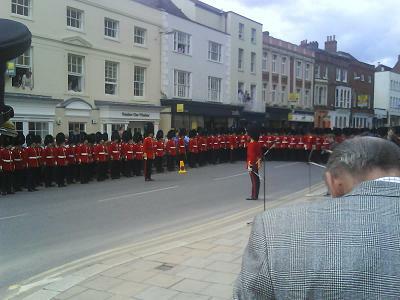 Pleasant lunchtime spent last week at the unveiling of the Irish Guards Statue. The back of the head of the chap in the bottom right corner of the photo is Col Mike “I’m not going to start the Third World War for you” Jackson who was there to see the unveiling of the bronze. It can be seen at the entrance to Park Street, in Windsor. Adds to the town, and values the enormous contribution the troops make to keeping our country safe.